miLab® (micro + intelligent + laboratory) is the next-generation point of care diagnostic laboratory platform through an integration of three main technologies: innovative Tubing-Free Lab on a Chip (TF-LOC), mobile imaging platform, and artificial intelligence for image anlysis. 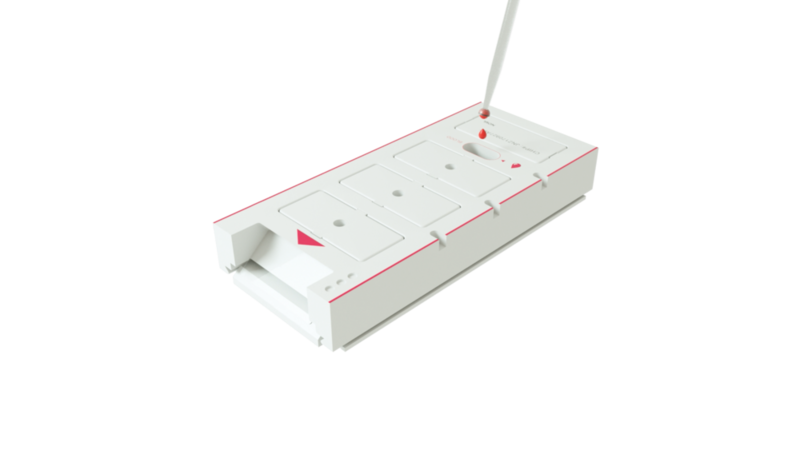 miLab® is an all-in-one technology that moved the entire diagnostic laboratory into one single portable device. 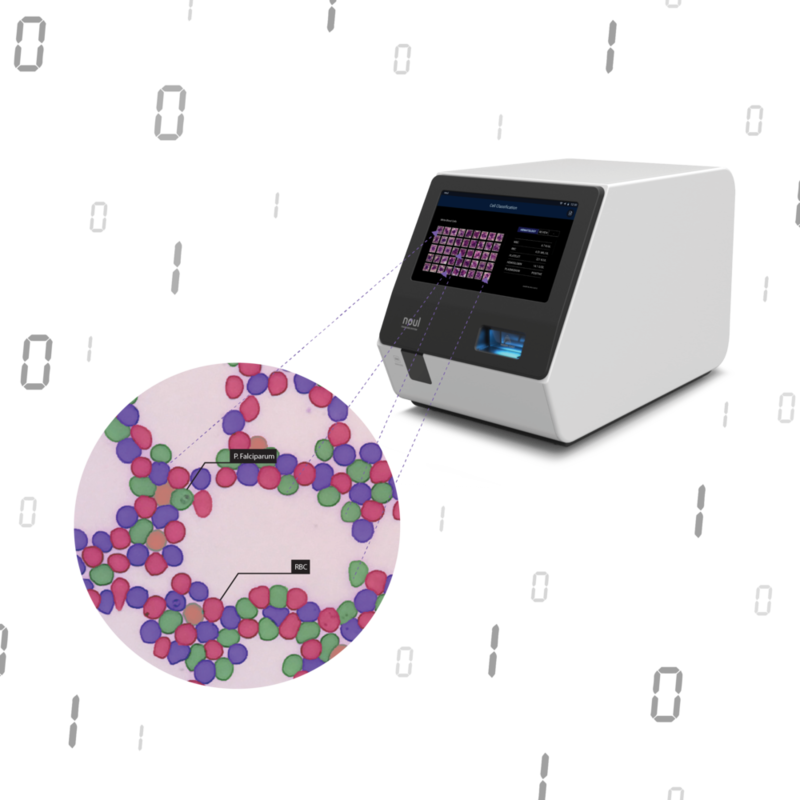 This is not only a revolutionary sample processing tool but also a single cell or a single molecule analysis tool, allowing much more precise diagnostic results. miLab® will be the ultimate solution for point of care diagnostic testing in advanced countries and resource-poor settings. TF-LOC®, the next-generation of Lab on a Chip(LOC) technology, is a simply designed, consumable diagnostic chip that automatically processes complex biochemical reactions, essentially replacing laboratory and numerous materials used for diagnostics. This technology enables sustainable and unlimited chemical reactions from a minimal sample, within a short amount of time, without a skilled technician, providing a consistent quality while not disposing of typical liquid chemical waste. TF-LOC®currently has over 20 patents pending, and it is expected to be applied to hematology, infectious disease diagnostics, immunocytochemistry, and many various areas. 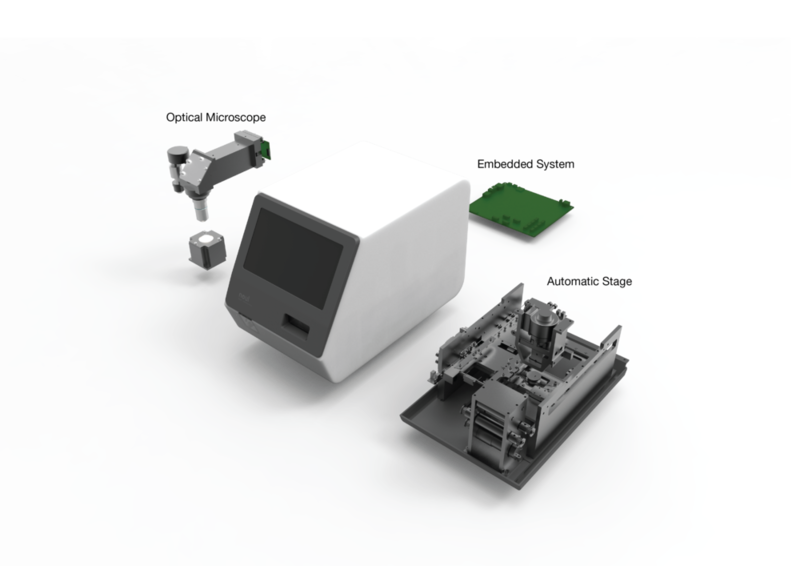 Mobile Imaging Platform is a portable optic technology that is designed to capture high-resolution optic images from a small system, composed of three technologies: optical microscope, embedded system, and software optimization technology. Optical microscope enables to capture high-resolution images using originally developed optical system and high-resolution CMOS image sensors with FPGA technology, while overcoming limitations of resource-limited settings through the development of innovative optic and mechanical engineering. Embedded system effectively implements artificial intelligence algorithm and optimizes the application. This technology enables implementation of the deep learning algorithm, fast image capture, and stable mechanical movement only with a low-cost memory resource, without a high-end GPU. Software optimization technology represents an integration of the following software technologies to execute the platform: various operating systems to implement the imaging platform, graphic library, GCC toolchain, and image processing and artificial intelligence algorithm. Mobile Imaging Platform enables operation of the entire system, user interface, data management through network, image processing analysis, and remote update. Artificial intelligence algorithm developed by NOUL enables extraction of meaningful information from the vast amount of image data collected from the mobile imaging platform. Built upon the recent advances in computer vision and deep learning algorithm, it provides distinguished consistency and radically reduces the diagnostic time, compared to the traditional microscopy test. Efficiently designed artificial intelligence algorithm plays a key role in automatic diagnosis, enabling the healthcare worker to provide point of care medical treatment even in resource-limited settings. Our algorithm learns from experience and improves its performance as more data gets accumulated.